VMware is the global leader of suppliers in virtualization solutions, suitable for desktop computers to data center, or even institutional clients of different sizes, they all rely on VMware to reduce its investment and operating costs, to ensure business continuity, strengthen security and enhance energy savings. RAS had become their Solution Provider partners. HP is a worldwide information technology company, primarily focused on printers, digital imaging, software, computer and information services business. Red Apple has become HP Enterprise Group - Silver Partner. Formed by Lenovo Group’s acquisition of the former IBM Personal Computing Division, Lenovo is an innovative and international technology company. Lenovo is one of the world’s largest makers of personal computers and its research and development has great advantages, reliable with high quality personal computing and added value professional services. RAS are Silver Partner with Lenovo. Office 365 allows you to use a variety of Microsoft Office tools almost anywhere, and provides you with easy management enterprise-class IT services and complete cloud office. Red Apple has become partners with Microsoft Cloud Partner. My PBX is a professional enterprise with unified communications technologies, highly innovative high-tech enterprise that integrates core components of CTI and IP-PBX, and other related product development, production, sales and services as a whole, is committed to providing excellent new generation communication products. Red Apple Technology (HK) Co., Ltd. became MYPBX regional office in Hong Kong, providing MYPBX product sales, development and technical support services. We also helped MYPBX developed a customer relationship management system eCRM, Call Manager and Call Centre. Wuhan OS-easy Technology Co., Ltd. is a high-tech software company, established in December 20, 2002. OS-easy has a number of computer software copyright, application of the "wisdom of staging area extending technology" and "variable copy technology" patents. Red Apple Technology (HK) Co., Ltd. became Wuhan OS-easy Technology Co., Ltd.'s Hong Kong Office, also received Hong Kong authorized distributor, to provide OS-easy's product and technical support services. Ahsay R&D base is in Hong Kong, their cost is much lower than European and American rivals, therefore the price of the same type of software is at least 50% lower than Europe and America countries, full-featured backup software, truly meets business needs, and well received by the market. RAS became the assigned Authorized Reseller Partners of Ahsay Hong Kong. SonicWALL is the leader of network security, by reducing the network security operation's cost and complexity, to help businesses in all sizes to improve performance and productivity. Red Apple has become their Silver Partner. IBM was founded in 1911 in the United States. IBM is the professional information technology and business solutions company, IBM operates in more than 160 countries and regions. RAS except being IBM's VP partner, also being IBM's sales agents of different products, including servers, I storage devices, I network equipment, and various technical services, IBM software products and other solutions. IBM provides different types of technical support, give the latest product information and seminars to the RAS occasionally. Microsoft was founded in 1975, is the world's largest PC software vendors, has estimated of sixty thousand employees worldwide, has subsidiaries over 70 countries worldwide, develop products that meet the needs of national consumer and businesses . RAS has become their small and medium technical experts to provide professional services for SMEs. Red Apple and WOWS Solutions TLD is from the same"mother" company, WOWS provides website promotion and business promotion services, and provide customers with detailed technical and analysis, including website promotion. data analyzes, marketing programs, etc., to develop more business expand market channels. To achieve the client's business and product promotion information technology and websites together to maximize efficiency. Cisco System is the world's largest network equipment manufacturers, global telecommunications companies, banks, businesses, universities and government agencies network equipment all uses Cisco's products. A majority of the Internet infrastructure is using Cisco's products and technologies, RAS is a distributor of their products. H3C is innovative IP network architecture solutions provider, is committed to global customers and partners to create maximum value, and provide excellent service with cost-effective and high quality products. Has a full line of network security products include: Firewall / Virtual Private Network (SecPath), network security hardware, intrusion prevention system (IPS) and security management software. RAS has become H3C RP partners, and sent our network engineers to H3C to get the latest networking technologies occasionally. Fortinet is the multi-threat security systems innovator and pioneer Fortinet won many security systems and subscription services around the world and had already up to two million users, including the largest telecom operators, service providers and enterprises of all sizes. Red Apple has become their Silver Partner. SpamTitan is able to dynamically resist a variety of spams and fraud identification technologies to provide updates, continuous and real-time protection against spam. RAS is Spam titan assigned distributor in Hong Kong. Solid Documents is established in 2001, and leads in the industries. Long-term vision is to continue to create an easy to use, requires competitively new and creative solutions. Solid Documents has customers all over the world, and the software is translated into several languages​​. Solid Documents is committed to deliver products to the widest practical application of international users hands and priced according to local living standards. RAS is their Hong Kong distribution partner. Paessler provides a powerful network management software, such as Paessler Router Traffic Grapher (PRTG) can be provides to users of ISP to view the network traffic status of the software, used to monitor your online traffic DSL network conditions, and show in the way of web pages and graphical of the network traffic's current status. RAS cooperates with Paessler to introduce the powerful network management software to the network and systems management staff, and become their Hong Kong distributors. MailEnable is a powerful and high-performance mail server systems, is easy to manage, supports SMTP, POP, HTTP Mail, IMAP agreements, powerful message rules functionality, support SMTP authentication, POP3 authentication, anti-spam and antivirus features. The management interface is using MMC console, has good integration with Windows, all settings is completed by the simple-to-use interface. remote access to computers either through a local area network or through the Internet. 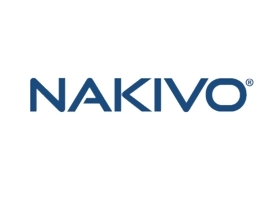 NAKIVO has redefined VM Backup and Replication for Small Business with the first simple, reliable, fast and affordable solution that enables VMware disaster recovery and business continuity. RAS has became their authorized reseller in Hong Kong.